Numero Uno Web Solutions (NumeroUnoWeb.com), a fast-growing Internet marketing firm that caters to medium- and large-sized business-to-business (B2B) and business-to-consumer (B2C) companies, is weighing in on a report showing Canadians lead the way in cross-device Internet usage. Numero Uno Web Solutions is also commenting on how most Canadian businesses do not have a web site that is mobile-friendly. Libarian explains that a responsive approach to design means web sites look great and are easy to navigate across a wide range of devices, including smartphones and tablets. After all, mobile consumers engage with a web site differently than those using a computer do: on-the-go users swipe, touch, and zoom with their fingers. Because the screen size on a mobile device is small, brands need to ensure their site is optimized to work on any screen. Numero Uno Web Solutions, is one of the top Internet marketing firms due to constant innovation and overall customer satisfaction. 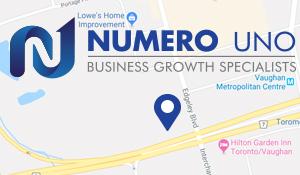 For more information on Numero Uno Web Solutions, and to discover how it can help maximize a company’s search engine optimization and online presence, visit https://numerounoweb.com or call Numero Uno Web Solutions toll-free at 1-855-SEO-XPRT (1-855-736-9778).